BLACK EMERGENCY MANAGERS ASSOCIATION INTERNATIONAL: BEMA TALKS. Global Community Engagement\Participation during times of Disasters. BEMA TALKS. Global Community Engagement\Participation during times of Disasters. 15, 20, to 25 individuals in a community is a start to collectively come together and address a disaster\crisis when it strikes a community. Take the training learned in the U.S., customized for your communities by knowing the risks, and vulnerabilities from flooding, landslide, water contamination, etc. You are the change agent in your communities here in the U.S., and when you return to the continent. Communities engagement and participation with local emergency management agencies can make a difference between life & death, reduce the amount of damage to homes and facilities, and constantly improve upon infrastructure systems (water, waste, food, transportation, power, etc.). 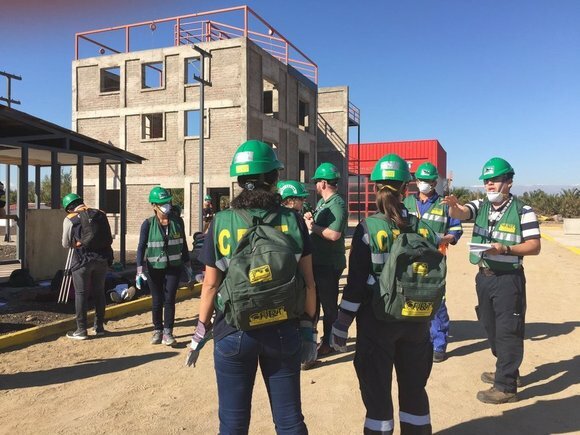 An invitation to meet with local Community Emergency Response Teams (CERT) led to five Federal Emergency Management Agency (FEMA) employees traveling to Chile on April 20, 2017. During the two-week visit, FEMA presented information, participated in roundtable discussion, and went out into communities to learn about the hazards specific to the region. If someone is injured, the first few minutes are critical in helping the chances of surviving serious or life-threatening injuries. Would you know how to help them until professional help arrives? A new, easy five-step program will help you learn how. During the height of Hurricane Sandy in 2012, communities along the Hudson Waterfront sustained flooding by the storm surge through New York Bay and into the Hudson River. Massive power outages in the New Jersey cities of Bayonne, Jersey City, Hoboken, Weehawken, North Bergen, and Edgewater forced many residents to evacuate. Maintaining a well-trained, engaged, and active cadre of Community Emergency Response Team (CERT) volunteers is critical for planning and responding to emergencies. Kansas City CERT teams are using a creative and entertaining approach to meet their goal of keeping existing volunteers active and engaged, even during non-emergency times. The Watts/South Los Angeles Teen Community Emergency Response Team (CERT) Collaborative is comprised of local Watts-area youth in South Los Angeles, California, who work to improve their neighborhood to be more prepared for potential emergencies or disasters. Course Description: This course prepares participants to establish and sustain an active local CERT program. Course Description: This course prepares participants to deliver FEMA’s CERT Basic Training course.